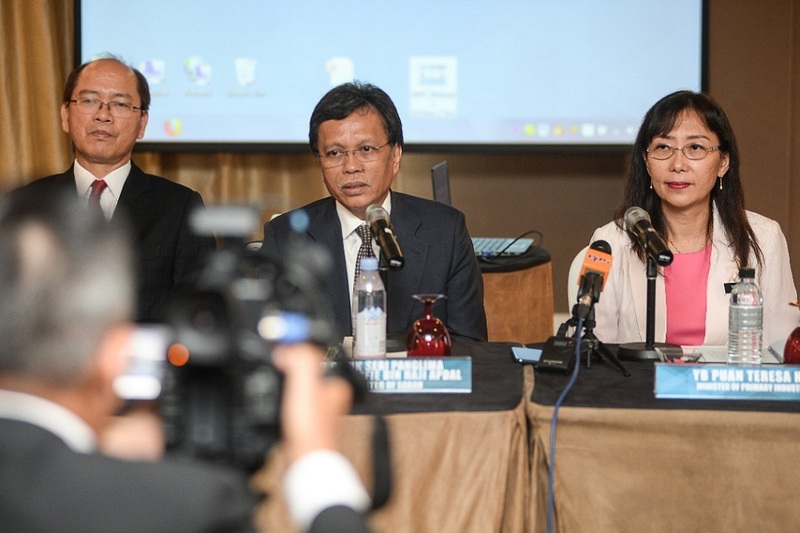 Shafie Apdal, centre, together with Teresa Kok (right), the Minister of Primary Industries as well as Wilfred Madius Tangau, deputy Chief Minister at the Kuala Lumpur press conference on Monday. KUALA LUMPUR: Sabah’s ban on log exports will continue until a comprehensive policy is put in place by the government. 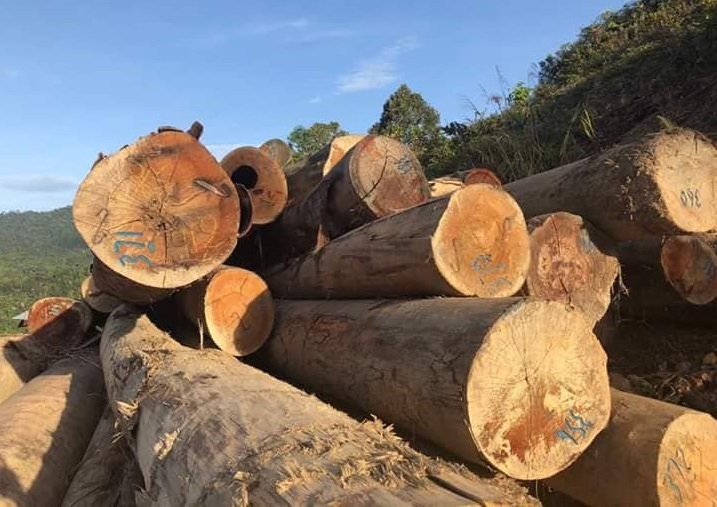 Chief Minister Datuk Seri Panglima Haji Mohd Shafie Apdal also said if there were a need to resume exports of timber, it would be done through a Sabah government-linked company (GLC). “If there are (to be) exports of logs (in time to come), the volume would not be huge because we want to utilise them for downstream (activities) and this would be confined to a special vehicle like Yayasan Sabah, and not other parties. “Let’s the GLC does the job, no longer the private sector,” he told reporters after attending a special session on investment opportunities (in downstream processing of timber) in Sabah here Monday. Shafie said following the ban on export of logs, the government only wanted to ensure that there would be enough supply to meet domestic demand. 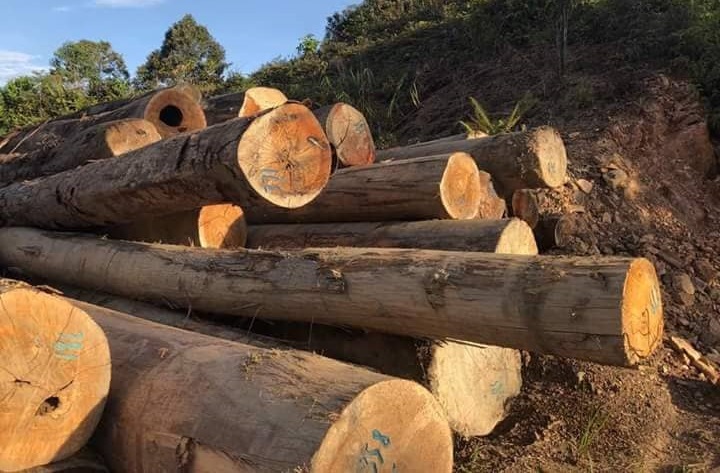 The Chief Minister said the move to shift Sabah’s timber industry from the upstream to downstream activities was crucial to elevate it to a higher level. In 2017, the upstream activities generated a revenue of RM1.68 billion through export of logs, sawn timber and plywood, while the economic returns from Peninsular Malaysia was RM15.35 billion from downstream activities, mainly furniture manufacturing. Hence, he welcomed local and international players to capitalise on Sabah’s abundance natural resources and set up their downstream mills in the state. “We welcome them to take advantage of our Palm Oil Industrial Cluster (POIC) in Lahad Datu and Kota Kinabalu Industrial Park (KKIB) where ready infrastructure is there. 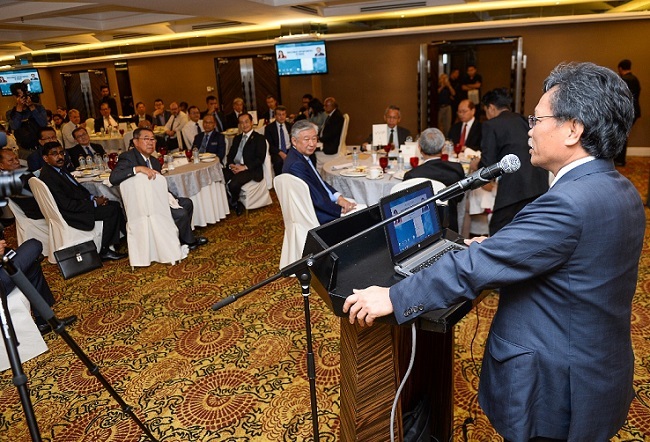 The Chief Minister addressing a gathering of timber/industry players in Kuala Lumpur. He said investors are welcome to set up factories in Sabah to create value added timber products as well as create employment. “Many players focus only on plywood and veneer industry. We want them to go further into downstream (activities) like furniture production,” he added. Meanwhile, Primary Industries Minister Teresa Kok said interested investors could take advantage of the attractive incentives offered by the government through the Malaysian Investment Development Authority (MIDA) such as the Less Developed Area Incentive in the form of tax exemption. “I am optimistic that we can narrow this export revenue between Sabah and the Peninsula as the value-added timber products will fetch much higher prices compared to the sale of upstream products. “It is imperative that both the downstream and upstream timber industry players in the Peninsula and Sabah tap into this huge economic potential,” she said. For the January-September 2018 period, Malaysia’s exports of wood and wood products dropped 5.1 per cent to RM16.33 billion compared with the same period in 2017.